The Xerox Altalink C8035 Color Multifunction Printer is great for medium and large offices or small businesses hoping to grow. Using this printer you will be able to get much higher productivity. You’ll also have less frustration all around when it comes to technology because the Atalink models are up to date and easy to use. 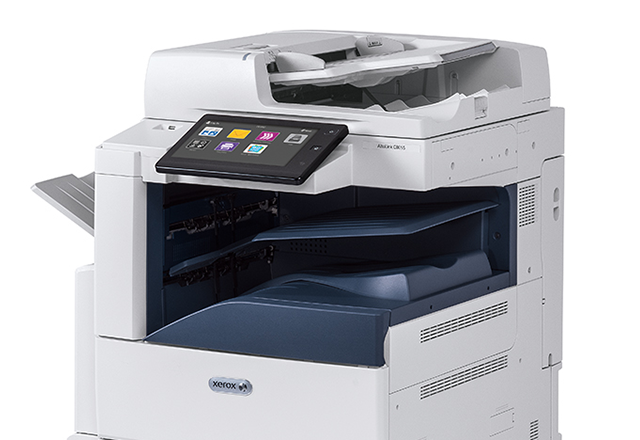 The Xerox Altalink C8030 is up to date with the best and most convenient technology. No longer worry about the learning curve that comes with new technology, this printer features training that can be played straight from your work desktop, and is very straightforward. It’s important that your color printer has the ability to print quality. The Altalink C8035 has a high resolution of 1200 x 2400 that shows high quality and professionalism. The Altalink C8035 prints a speed of 35 pages per minute, and up to 110,000 pages a month. It also boasts a first-print-out time of 6.4 seconds color and 5.2 seconds for black and white. This copier gives you the ability to copy, fax, print, and scan. If you’re ready to take your business to the next level, call us today and we’ll get you the copier you’ve always wanted!